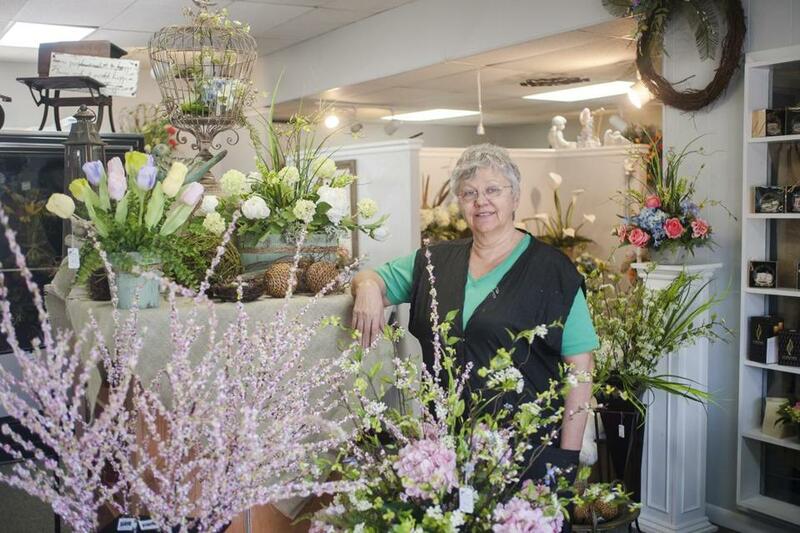 Deb Hooper has owned her flower shop for 25 years in Jasper, Tenn.
JASPER, Tenn. — In a no-frills diner along Main Street, one of the few developed roads in this part of Marion County, Tenn., patrons come for the banana pudding but stay for the politics. Most days, the conversation is hyper-local, but on this balmy March afternoon, the topic of choice was the Republicans’ failure to “repeal and replace” the Affordable Care Act. “I was livid,” said Wanda Gentry, a 75-year-old who said rising health care premiums are crippling her community. Did she blame President Trump, who made dumping the Affordable Care Act — “Obamacare’’ — a core promise of his 2016 campaign? Not at all. But Gentry and others are deeply disappointed in their local congressman — a member of the archconservative House Freedom Caucus, Republican Scott DesJarlais, who resisted the president’s intense lobbying and refused to back the health care bill. 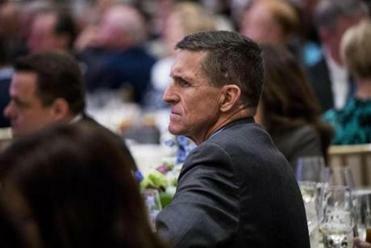 Is Flynn bluffing? Or is he ready to bring down Trump? Former National Security Adviser Michael Flynn was forced to resign. Now he’s threatening to repay the favor. Gentry and other residents of this rural region, which supported Trump by 40 percentage points over Hillary Clinton, said the new president is being thwarted by entrenched interests in Washington and, in particular, Congress. Overwhelmingly, they said Trump is not to blame for the GOP’s inability to deliver. “We got this young preacher a while back, and some of us said we have to raise him, get close to him and help him. And that’s what we need to do with the president — help him,” Gentry said. Since the health bill imploded March 24, Trump has directed his ire at members of the Freedom Caucus, blaming them for the failure. The dispute captures the cross-currents roiling the far-right of the Republican Party. DesJarlais won election in the Tea Party wave of 2010. He is the sort of rabble-rousing, anti-establishment Republican who has tapped into the populist anger bubbling in rural communities like Jasper, which, nestled near Tennessee’s Sequatchie Valley mountains, is heavily populated by Trump’s core base of non-college-educated whites. But judging from interviews throughout the community over two days this week — in diners, barbershops, slaughterhouses, and flower shops — DesJarlais would not win a popularity contest against Trump. Though DesJarlais originally agreed to be interviewed for this article, he backed out on Thursday, the same day Trump began tweeting angrily at members of the Freedom Caucus. Some expressed strong disappointment in their representative, who rose to prominence while practicing medicine in Jasper. From the infighting to the ideological clashes between Trump’s populism and traditional small-government conservative principles, the president has upended the traditional order. If doing so means taking on his fellow Republicans in Congress, the voters in rural Tennessee were all for it. Berryhill, through mouthfuls of a hearty sandwich, said maybe it was time to send Republicans “a message” during the upcoming midterm elections. 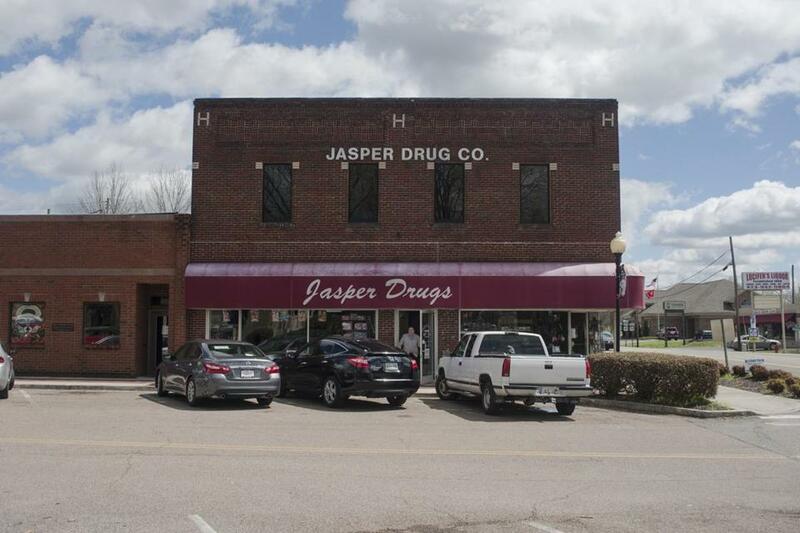 A pharmacy in the town square of Jasper, Tenn. Repealing the Affordable Care Act, as some Freedom Caucus members have advocated, would leave many of the rural poor without insurance. Speaker Paul Ryan’s brainchild, the American Health Care Act, which Trump supported, would have put more pressure on the fragile Tennessee individual marketplace — without the current government subsidies. To do nothing, and let the Affordable Care Act “explode,” as Trump has now proposed, could mean the government would stand pat as increasing premiums hobble working-class citizens. That would include people like Deb Hooper, a 64-year-old Trump voter and the owner of Deb’s Flower Shop in Jasper. Hooper receives health insurance from the private marketplace created through the Affordable Care Act, but like many in Tennessee, she says her premiums have risen drastically in recent years. Behind the desk of her flower shop, Hooper expressed disappointment that the recently proposed overhaul did not pass, though she was unsure about the specifics of the legislation and felt it was rushed through the Congress without adequate debate. Several studies, including a nonpartisan analysis from the Congressional Budget Office, said the Republican health care legislation would cause 24 million people to lose insurance by 2026, with a disproportionate share of the losses falling on rural residents. But Hooper said since the status quo is simply unmanageable, she was willing to try something new. She backed Trump’s proposal to keep the Affordable Care Act in place until the insurance market “explodes,” even though that would negatively affect people like her. Steven Gatlin, a 45-year-old who lost his job in January and lives outside Chattanooga, says he sees both sides of the health care debate. Since he and his wife have epilepsy, a preexisting condition, the law has afforded them stable insurance for the first time in his life. However, according to Gatlin, his skyrocketing premiums led him to vote for Trump anyway — even at the risk of losing his stable insurance. 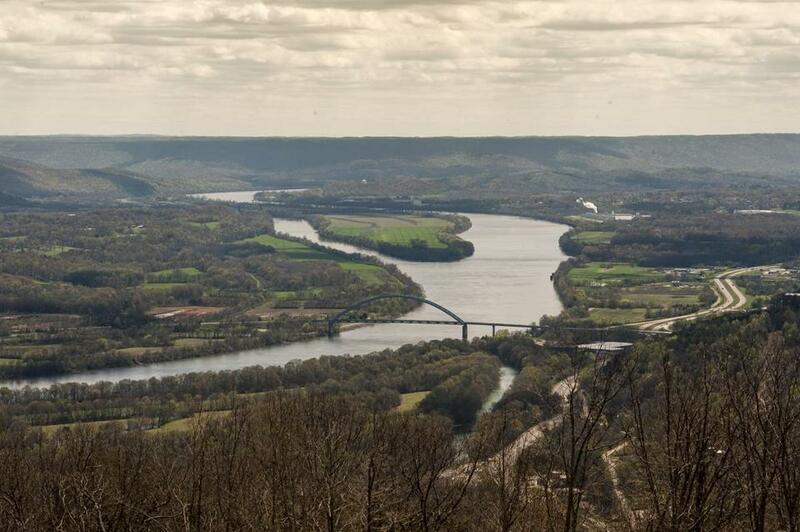 The Tennessee River cut through the Cumberland Plateu of Marion County. “My premiums have almost tripled,” he explained. On March 15, Trump held a rally in Nashville, a two-hour drive north of Jasper, to drum up support for his health care overhaul. He chose the state because of stories like those in Marion County, which are not atypical for Tennessee. The week after Trump’s rally, the bill imploded in the House. It would never reach his desk. Astead W. Herndon can be reached at astead.herndon@globe.com.